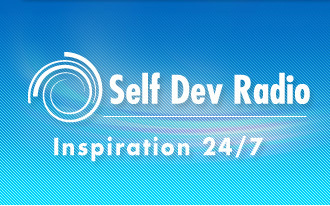 Interested in a particular Self Dev Radio interview? Download it here as an MP3 file, and play direct on your iPod or PC, wherever you are in the world, whenever you want to listen. Hypnosis guru and best-selling personal growth author Joe Vitale chats about tapping into the power of intention. The big star of "The Secret" and "What the Bleep" chats with Karl about the real mysteries of quantum physics. Self-development leader Hale Dwoskin chats about The Sedona Method - and how to begin using it - starting today! Listen to the "King of Seduction" chat about his relationship secrets - and dodge Karl's "settling down" questions! Tune in as James Ray chats about the 7 laws of the universe, and why most people don't "get" The Secret movie. Discover how to tap into the power of your mind to heal yourself, with Canada's most famous miracle worker. Best-selling author of 30 self-help books, including "The Secrets of Being Unstoppable" chats to Karl about releasing limiting beliefs. Discover how you can turn your thoughts into reality, using Christopher's own unique "Holocreation" system. The author of "Take Charge of Your Life" chats with Karl about mastermind groups - and achieving your goals. Ex-addict Steve Ryals, author of "Drunk With Wonder" chats with Karl about spirituality and "bad habit stories." Author of "Walking with the Wise" Shelby Collinge unveils her top success and productivity tips. Want to improve your golf? Tune in as golfer Art Thompson shows us how to improve your handicap using the mind. Listen to UK life coach Anna Rushton chat about how to de-stress - and discover a fantastic work-life balance! Self Dev Radio requires Windows Media Player.